AMAZING UNOBSTRUCTED ENDLESS VIEWS to Vancouver Island from this beautiful home located on the 20th floor at Northbank. This open concept 1 bedroom, 1 bathroom home features European wide plank laminate flooring, sleek, contemporary soft close cabinets, full stainless steel appliance package, washer/dryer, quartz countertops with breakfast bar, Master bedroom with large walk-in closet and a large private balcony. 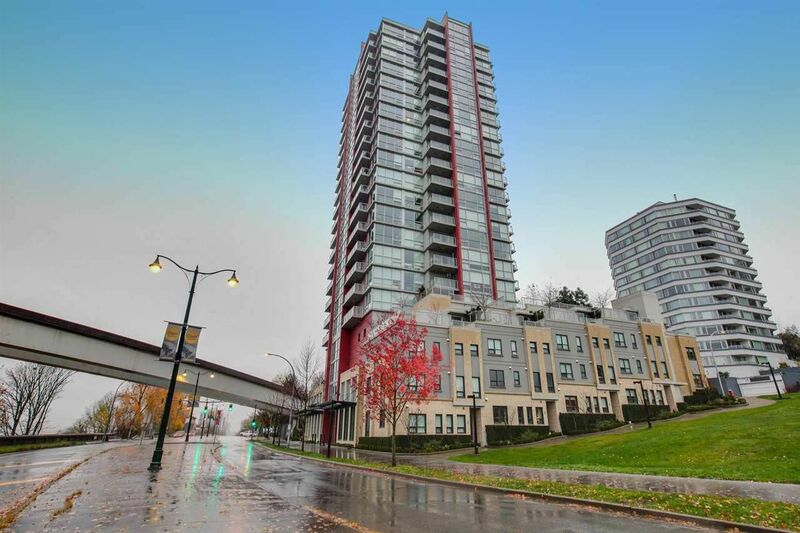 This 4 year old building is located just 2 blocks from skytrain station, easy access to shopping, restaurants and Albert Crescent Park directly beside the building. Pets (2 dogs or cats no size weight restrictions) and Rentals allowed. Balance of 2-5-10 warranty. Quick possession available. Stunning sunsets included!